Hey Guys! I meant to get this post done last week, but with my shoulder injury and then forgetting my camera at the other house, it got put off. Oops! I was so excited to get a real full Thanksgiving this year! I haven't had a real Thanksgiving since before Boo was born. This year, we got to have two Thanksgiving meals. We had lunch at my grandmother's and then dinner at JP's Mom's house. I really just wanted to share a few of my favorite pictures. At my grandparent's house we are all really competitive (there are a lot of boys in our family). 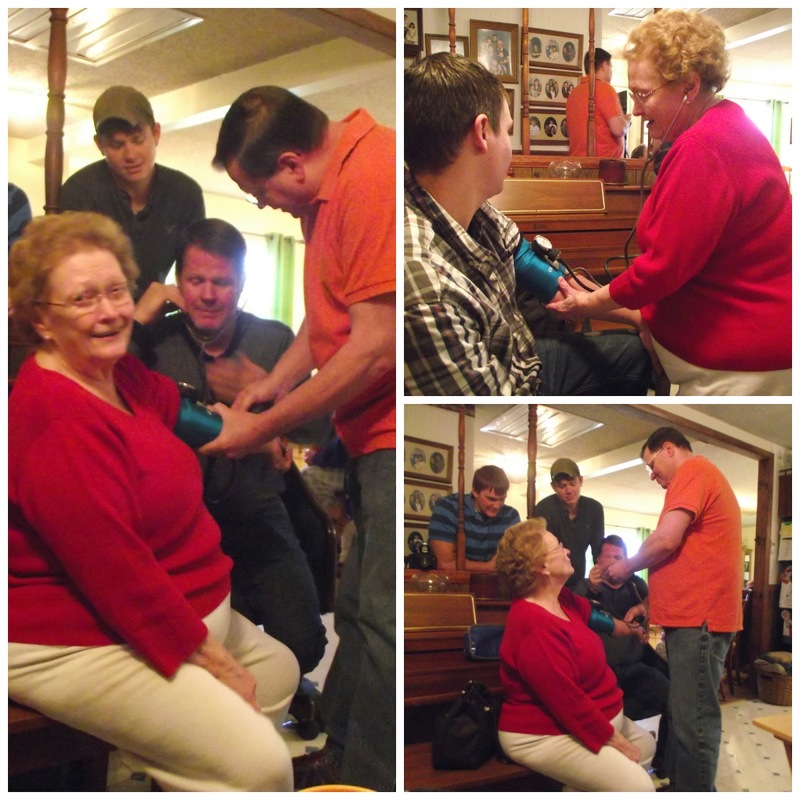 For some reason my cousin's started competing about who has the better blood pressure. I was still eating so I didn't get pictures of anyone getting their pressure checked except JP. Then my medically trained uncle decided to teach my very not medically trained uncle how to check my grandmother's blood pressure. It was quite amusing. These are just a few random pictures that I took while we were at my grandparent's house. My favorite is of course the one of my son picking his nose. Very classy. 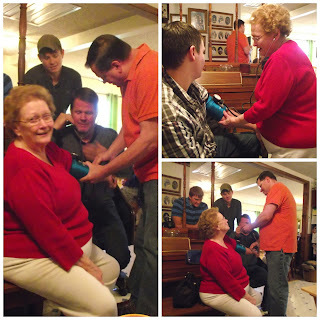 :) I love the look on my grandmother's face! 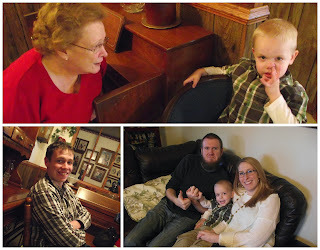 After my grandparents, we went to Jason's Mom's house. Matthew got to open his birthday gifts from his Grandma. 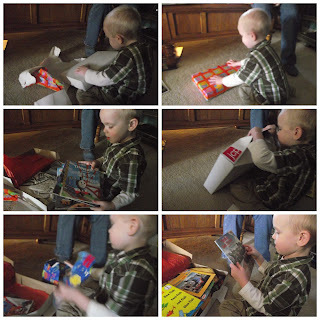 He was so excited and loved everything. Then we ate dinner, which was AMAZING. After that, lots of play time. 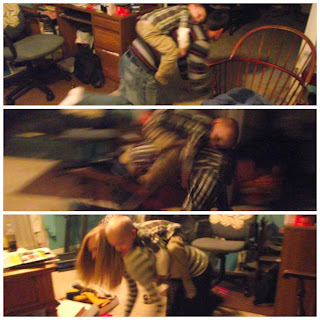 Matthew absolutely loved playing with his Aunt and Uncle on JP's side. 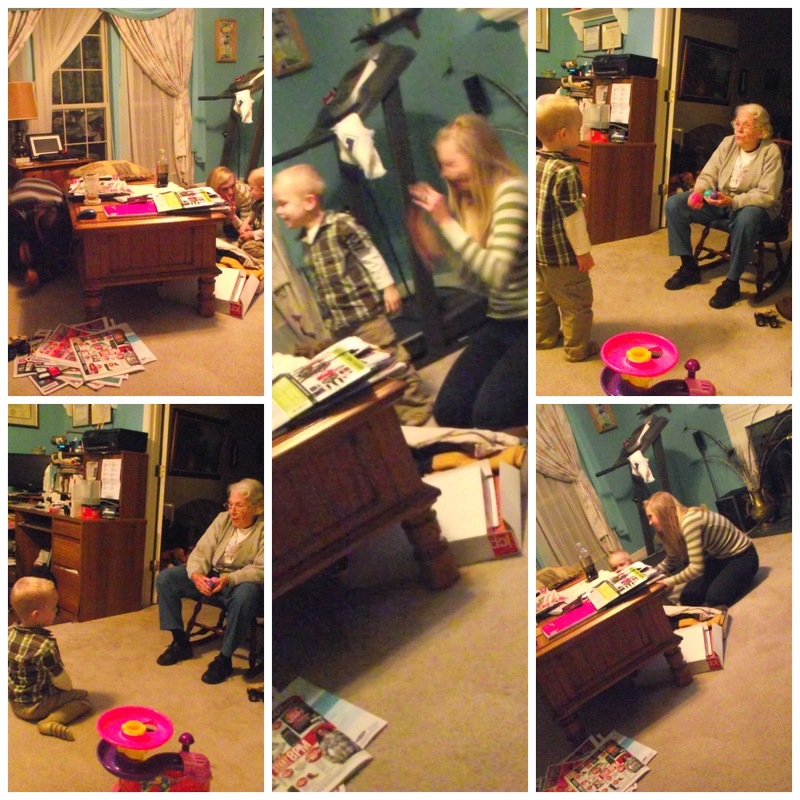 He even got to play with JP's Grandma for a bit. And nothing says Thanksgiving quite like horse rides from everyone! 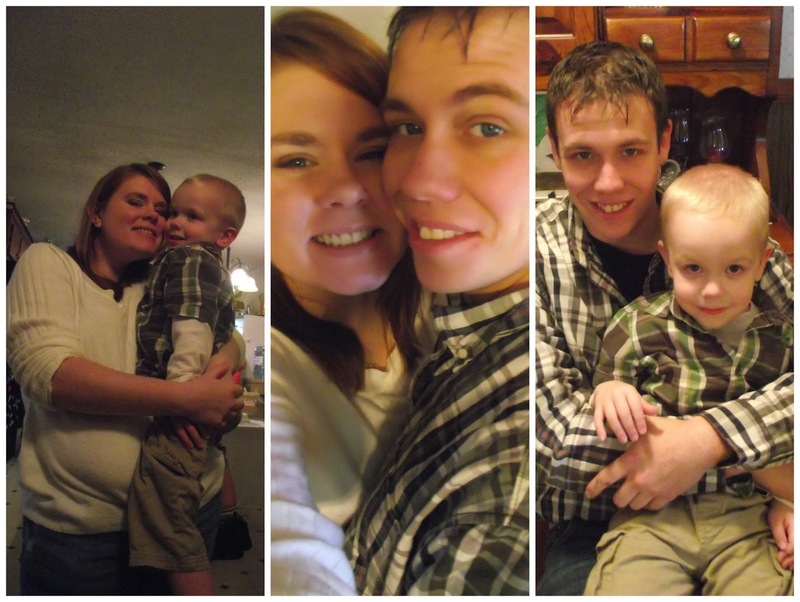 It really was one of the best Thanksgivings I have ever had. I am so grateful to my family for letting us spend it with them. And I am even more grateful that I got to spend it with my two favorite guys! How was your Thanksgiving?